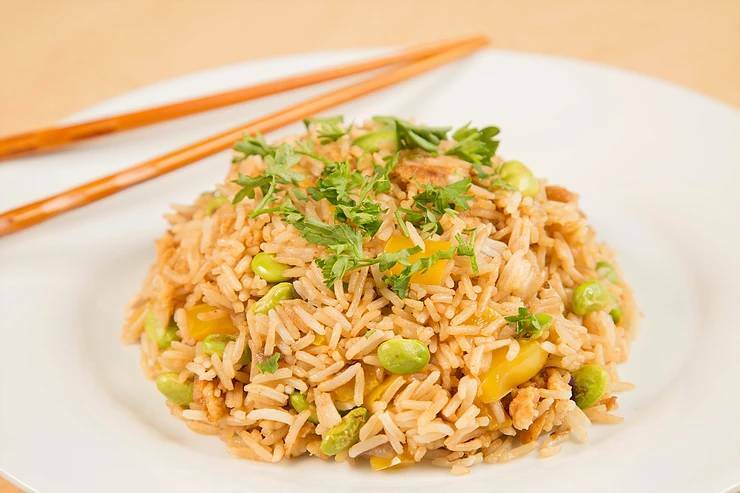 This is a classic egg-free, vegan alternative to chicken fried rice. My mother craves Chinese food ALL THE TIME, so fried rice was always a staple in my household growing up. 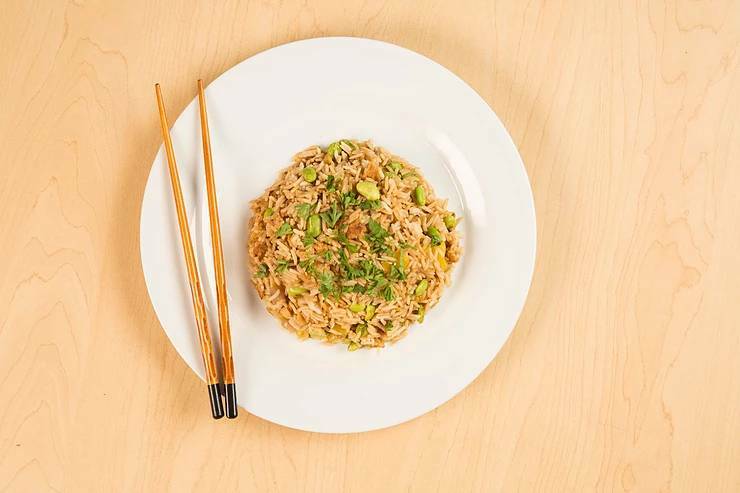 This yummy, protein-packed recipe can be a great addition to broccoli & tofu, vegetable chop suey, or as a meal on it's own! This recipe can also be customized with all kinds of veggies (perfect for those "cleaning out the fridge" days)! Cook Eggcitables according to instructions and servings. Scramble and set aside. Heat olive oil over medium heat, add onion and garlic, cook until translucent. Add yellow pepper and edamame, cook for 4 mins. Add Eggcitables eggs. Pour in soy sauce, worcestershire, and sesame oil. Mix well in pan and cook for 1 min. Begin to fold in rice 1 cup at a time and mix until even. Once rice is mixed in completely, cover and heat for 5 mins, stirring every minute. Once heated throughout, garnish with green onion. Enjoy!